Every city/destination loves to promote the idea that there is something to do there for everyone. But there is actually only one destination in the US that actually has bragging rights on that slogan. Vegas Baby! Once known as sin city because famous mobster Bugsy Siegel started it with mob money (just rumors I am sure), Las Vegas has grown into a celebrity destination that is host to championship boxing matches (champ Floyd Mayweather, Jr. defends his title in Las Vegas regularly), one of a kind shopping, family attractions and must see concerts. 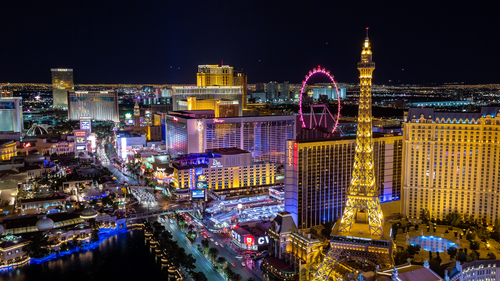 Las Vegas is not only a destination for personal travel/vacations. Las Vegas is also the place to hold your business conference. In 2012, the total economic impact of meetings and conventions in Las Vegas was $6.7 billion (yes billion)! So why is Las Vegas a popular destination? Well, there are 149,884 rooms and the average hotel room rate is $100. If you plan to travel between Sunday and Thursday and buy a vacation package (air + hotel), you can reduce that to $50 per night (visit www.JetBlue.com often for great Vegas vacation deals). I wasn’t joking when I said that there is something for everyone especially music lovers. Both Ne-Yo and Toni Braxton have recently performed at sold out shows in Vegas. Several popular, A-list celebrity musicians are now in residency in Las Vegas performing nightly. Boyz II Men are performing at the Mirage thru October 13th (tickets start at $64.84), Smokey Robinson presents Human Nature: the Motown Show nightly @ 7pm at the Venetian and one of our favorite co-hosts of the ‘View’ comedian Whoopi Goldberg performs November 15th @ 9pm at Treasure Island (tickets are $67.66). If you love magic mixed with amazing aerial stunts and out of this world costumes and makeup, then a Cirque du Soleil show is for you. Cirque du Soleil currently has 5 shows in production in Las Vegas including the ultimate Michael Jackson tribute. “Michael Jackson One – Cirque du Soleil” runs nightly at Mandalay Bay with two shows at 7p and 10p. Tickets start at $119.85. Las Vegas isn’t just for music lovers. Shoppers like myself will love the ‘Forum Shops @ Caesars.’ When you hit the jackpot, you can spend some of those winnings at popular stores like Coach, Apple, Tumi, Express, Armani Exchange, Gucci and Louis Vuitton. Las Vegas is legendary for its gambling and fabulous casinos. Of course you have every type of game at the casinos and food choices are a totally different discussion. 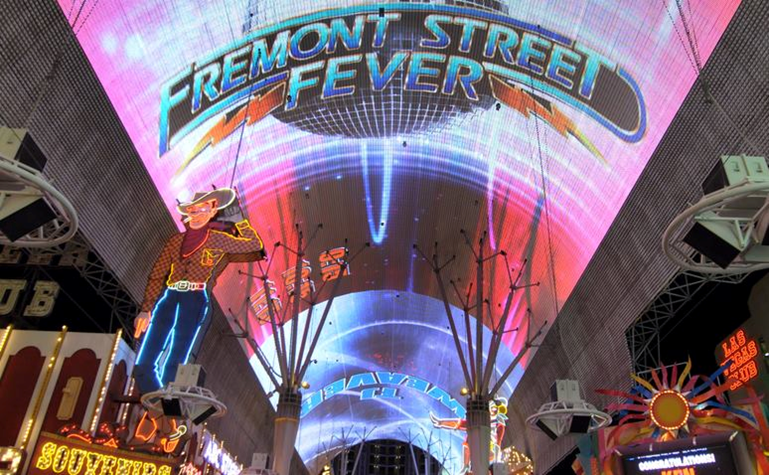 Las Vegas is the number one destination for holiday getaways. It’s also perfect for couples’ getaways, girlfriend/BFF getaways, weekends with the fellas (several championship golf courses and annual tournaments) and family vacations. More newlyweds are also planning honeymoons in Las Vegas.